Welcome to S&S Towing! Towing, Roadside Assistance, And More! Serving Milam County for 2 decades, we are the number one tow and roadside provider in the region for fast and reliable services, getting you to your next destination in no time. S&S Towing understands that when it comes to roadside assistance, accident recovery and general tows, our customers have a choice. Whether they be motor clubs, private motorists, insurance companies or law enforcement officials, our clients are our #1 priority! On every call, we strive to provide our customers with consistent unparalleled service. 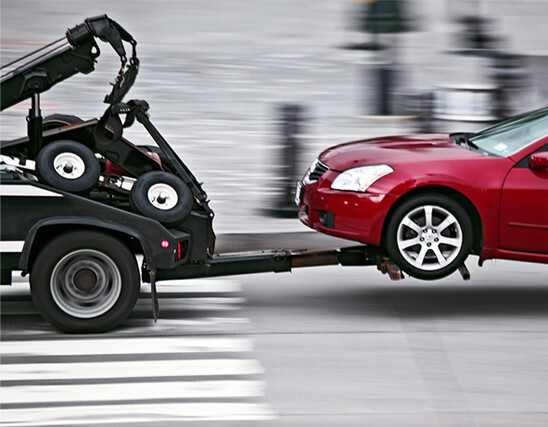 Our well-maintained fleet of light duty tow trucks are equipped to accommodate a slew of roadside malfunctions. Our services are affordable, with operators ready to locate motorists whether they're on US Highway 77, US Highway 79, US Highway 190, State Highway 36 or any major highway. Look out for our shiny black trucks because we are on our way! You can count on the S&S Towing operators to find you and your vehicle from any side street or back street as well. We carry a reputation for fast and quick-turn around towing. No wonder we are Milam County's preferred-choice for towing, road side assistance and recovery services. Stranded and need a tow? If you're out there, we will find you! We offer 24 hour services, so we are able to service you at anytime. Call and speak with a dispatcher now today. 512-446-2722 . Established in 1995, S&S Towing is a family owned and operated business and has redefined customer service by lifting its standards. We have also earned the title as an industry leader for road-side safety and reliability. We are a family owned business that thrives on placing our customer's needs first. Our trained and experienced operators boast over two-decades of combined industry experience and treat every service call with a sense of urgency. Our customers expect a certain level of professionalism and quality service and we at S&S Towing aim to deliver! We are leaders when it comes to cutting-edge training and technology and are skilled in safety and incident management. Dispatch operators are trained to properly assess every situation and to utilize logistics for accuracy when pinpointing customer location. Our mission is to respond to every service call and to be at the client's side just minutes after the request is made. We know how dangerous busy highways can be and no one wants to be stranded on a side street. All towing operators are familiarized with the Milam County region and neighboring localities wherein we extend our services. We've earned the title as Milam County's number one when it comes to efficiency, and that's why you can rely on us to get the job done. Licensed and bonded, we want you to know that when you break down or need a tow, we are already on the way. When searching for a tow company to get the job done, make us your first choice! S&S Towing offers 24 hour emergency towing and road side assistance service which allows you to get where you need to be no matter the time of day or night. We take extreme measures to ensure that our operators, customers and their personal property aren't at risk for damage or unforeseen injury. We regularly ensure that our trucks receive a thorough inspection of their engines and other areas such as breaks, hoses and electrical wiring in order to avoid accidents. Our tow operators receive ongoing training to ensure that they are up to date on the proper handling and care of all equipment. 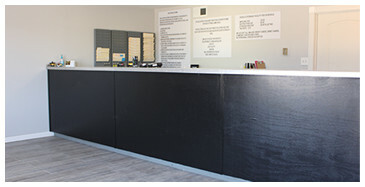 We operate in a Drug & Alcohol free operation. We carry a reputation throughout Milam County and beyond as one of the most professional towing and roadside assistance agencies in the state of Texas. We provide efficient and damage-free work. When it comes to accident recovery, we offer anything from site clean ups to traffic management. Local authorities count on us to get the job done. S&S Towing operators are on call 24/7 to respond to your road side emergencies. Our mobile units allow tow operators to respond immediately to your call. From Tire Change to Fuel Delivery, your downtime is reduced to a minimum. We provide storage and parking for various automobiles, including recreational vehicles, work or storage trailers, boats and more. Your vehicle will be left in good hands, whether you are seeking short-term or long-term storage. Have a rock chip in your auto glass? Whether your windshield, rear or side window is damaged, S&S Towing can help. If we can't repair your glass, we can certainly replace it for you at an economic-friendly rate. 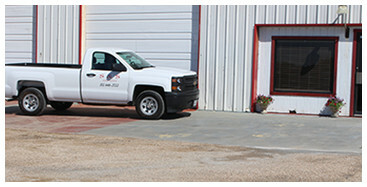 Motorists in Milam County have trusted us our service for decades and that's because we're experienced, efficient and experts at what we do. 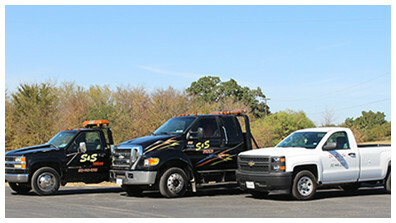 Price, Service, Quality are the three things you can count on at S&S Towing. No one wants to need a tow truck but I did and I am so glad I called S&S. Friday afternoon broke down 50 miles from home and they came and loaded me up and brought me and my car safely home. Prompt and courteous, careful to the details of keeping my car loaded properly. Nothing casual but professional. I hope I don't need them again but if I do, they are my first call. Thanks the the great service.